Do you know why the flag is being flown at half mast today? Do you know who Frank Buckles is? He was the last surviving American veteran of WWI. Charles Town, West Virginia, U.S.
During WWI he drove ambulances and motorcycles neat the front lines. In WWII he was captured by Japanese forces while working in the shipping business and spent three years in the Philippines as a civilian prisoner. 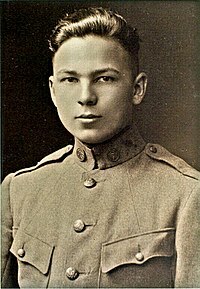 Buckles was awarded the WWI Victory Medal and the Army of Occupation of Germany Medal as well as the French Legion of Honor. He was buried at Arlington Cemetery with full honors. But the reason the flag is being flown today is in remembrance of Pearl Harbor. Today is the 71st Anniversary of Pearl Harbor! Today on NPR I heard of the deaths of troops and civilians from two suicide bombers trying to gain entrance to the base at Jalalabad. The Taliban did not gain entrance. My heart goes out to the men and women deployed in Afghanistan. It is questionable. The thought of extending our mission there turns my stomach. It is a fight for government control of nightmare proportions. Why are we doing the brunt of the fighting when the only country to gain from our victory is Russia? But right now the men and women serving our country are fulfilling their contracts. They are fighting and dying everyday. The holidays are arriving soon and they will be there physically, but their hearts and minds with their loved ones. Do not forsake them. They are our warriors.